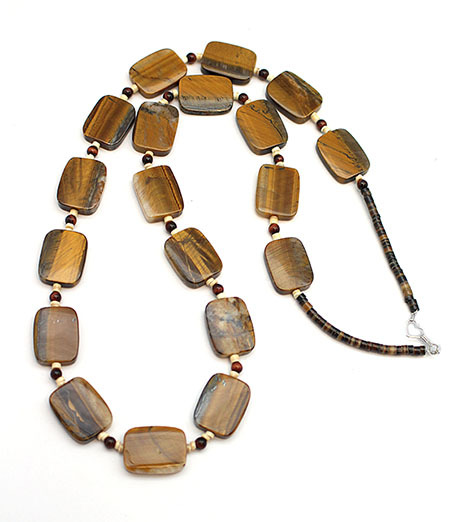 This necklace is strung using 19 rectangle tiger eye stones with heishi and red jasper in between. 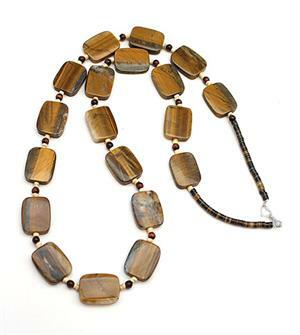 It measures approximately 26" long and the width of the tiger eye is 5/8" wide. It is Navajo hand crafted by Sandra Francisco. Only this one available.